This past weekend I attended the Stage X ThredUp pop up. I have purchased many items from ThredUp online and was so excited for them to pop up in Houston! If you have never heard of ThredUp, it is one of the leading marketplaces to buy and sell like-new women’s and kids’ clothing. You can find numerous styles from your favorite brands up to 90% off all retail prices! They carry so many brands such as Banana Republic, LOFT, Anne Taylor, JCrew, H&M, etc. Right now, Stage is partnering with ThredUp in all of their family stores which includes Bealls, Goody’s Palais Royal, Peebles, Stage and more. You’ll only be able to shop in person at these 12 stores! Here are a few of the items I found in the store and how I styled them. I found this Anne Taylor Denim dress for $25 when it was originally $118. 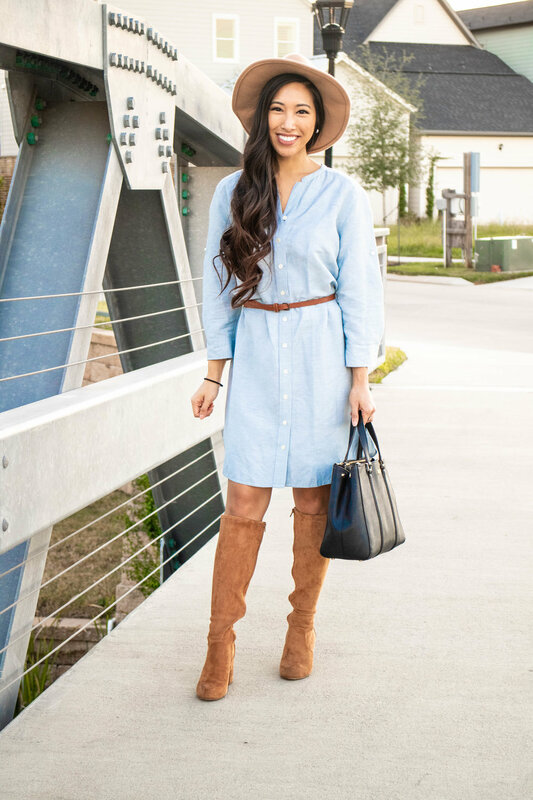 I love shirt dresses, so this was a great staple for me! It’s long enough for me to wear to work or I can dress it more casual with boots or flats for a day out! If you followed along when I visited the store, I found this detailed Zara olive top! I loved it at first sight! 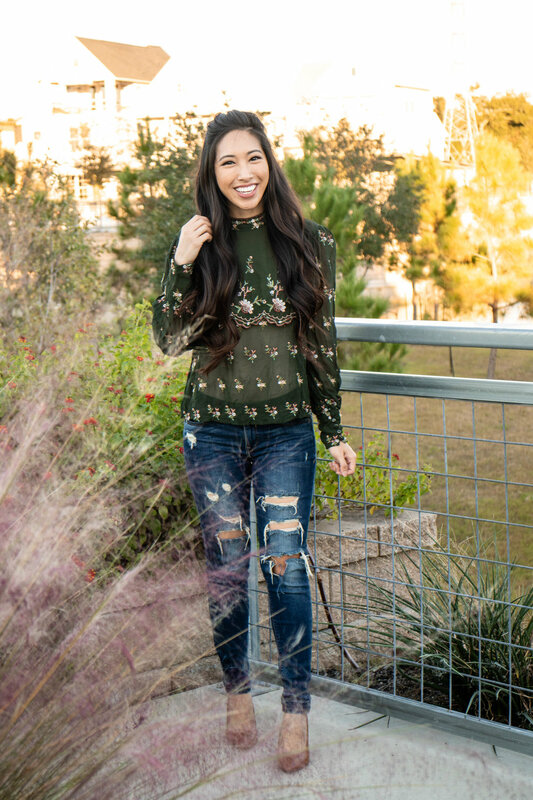 I’m obsessed with olive for fall and winter and the embroidery on this shirt is so pretty. It is a little sheer, so I wore an undershirt, but I love that I can throw it on with a pair of jeans and I’m good to go! My last look is this elbow lace top from Loft! I love simple tops with a pop of detail, so I immediately grabbed this when I saw it! I always try to buy pieces I can wear casually but can also incorporate into my work wear. I could pair this with a nice pencil skirt or a pair of high waisted slacks, and we’ve got a chic work wear outfit! I hope y’all get the opportunity to head out to this! You won’t want to miss it!